Almost over…Can I Move Here????? A little different this year! No Electricity at Fishing Bridge RV. A fire closed Dunraven Pass where it’s most likely to see bear. Warmer than normal so wildlife is scarce. A big new lens to get used to. Lost my debit card to a hungry ATM. I WOULDN’T TRADE THE TIME FOR ANYTHING! A lot of incredible and very funny experiences. It’s gone to fast. Tonight I moved to West Yellowstone…WI-FI, Electricity, water, flush toilets, showers and lights. But little time will be spent here. My time will be out with the wild “critters”. Where I love to be! 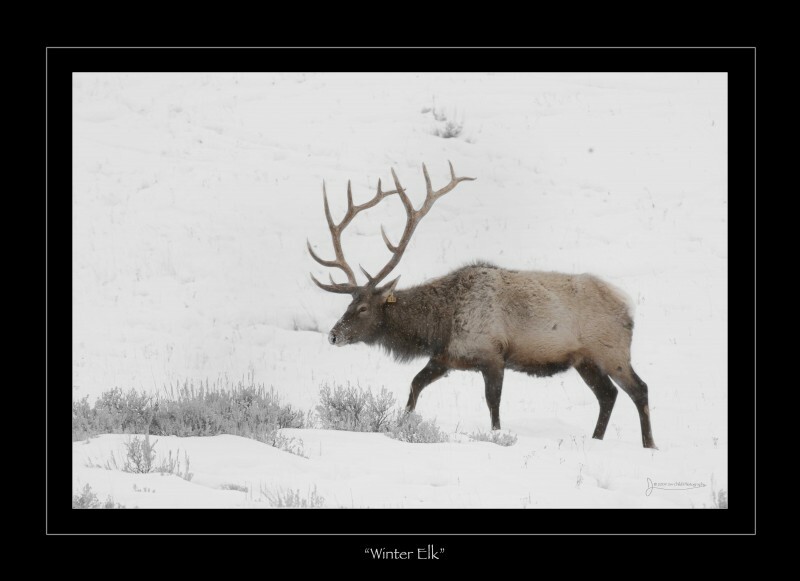 Winter in Yellowstone Park equates to critical survival skills for the wildlife there. 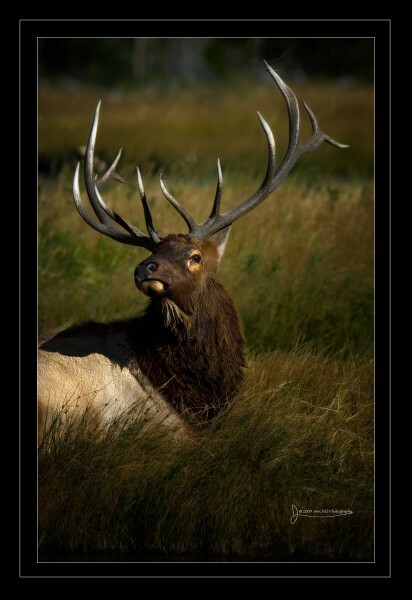 Food sources for wildlife in the middle of the food chain are limited if not dormant. Temperatures can be so low that blinking and breathing are a risk for some animals. The avoidance of being a meal for another species is ongoing and stressful. The photo above shows how the conditions may be. 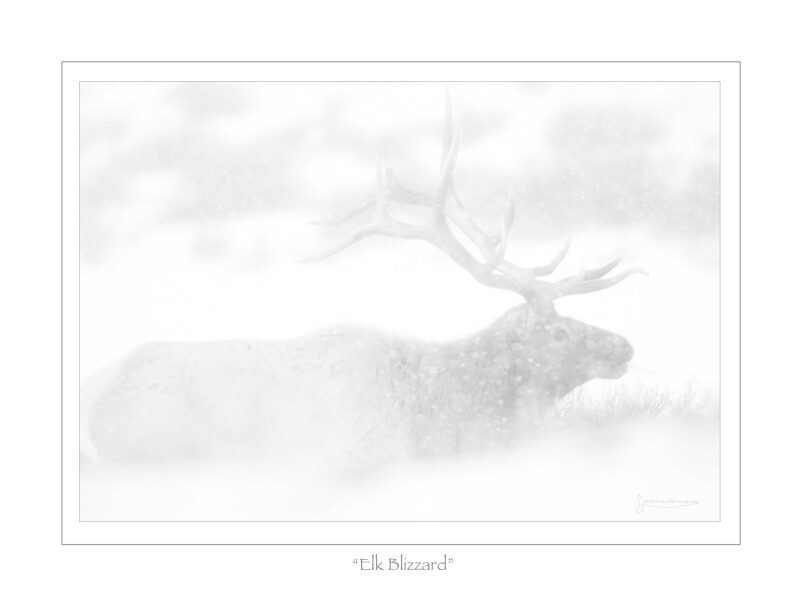 I took this shot in a blizzard. Imagine the winter conditions and carrying a load like this elk does on your head. Tired and weary. The photo reveals the exhaustion that exists. Why do these elks stay together? 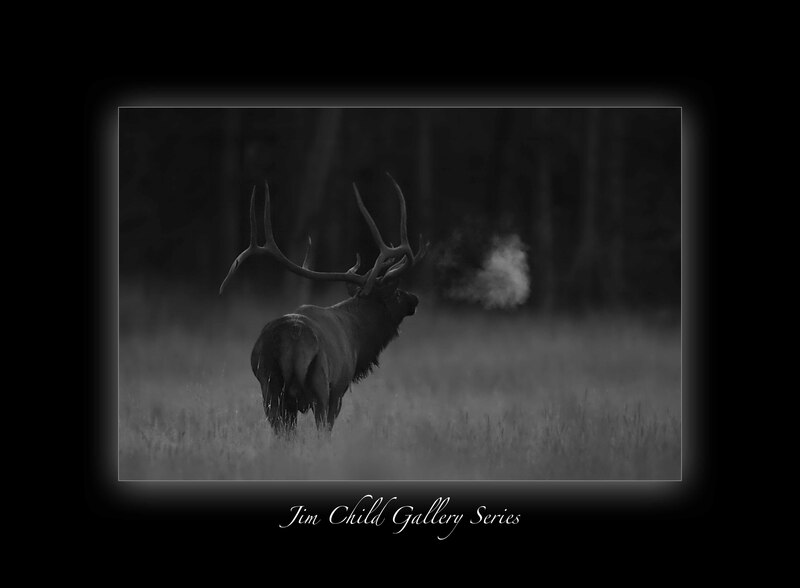 There are herds of elk cows and the bulls are elsewhere. For protection? I am not sure. In this case these two probably represent the survival of the fittest. 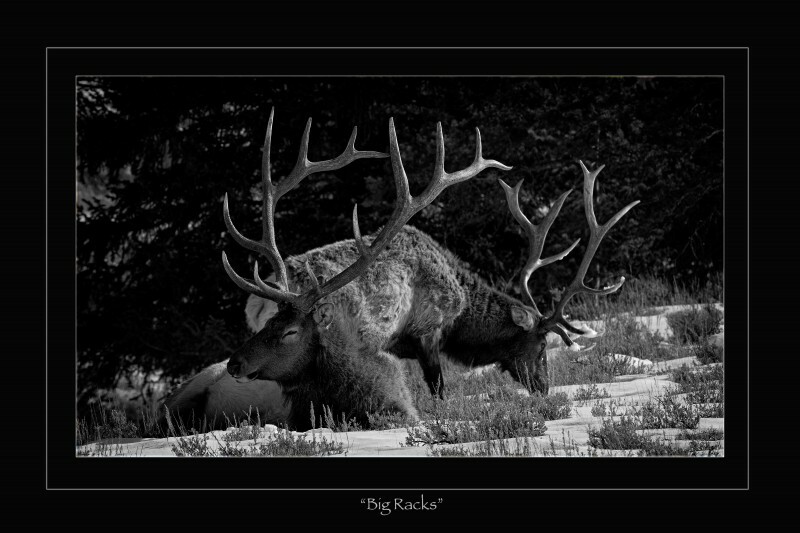 Their reduced size and huge antlers tells a story endurance. 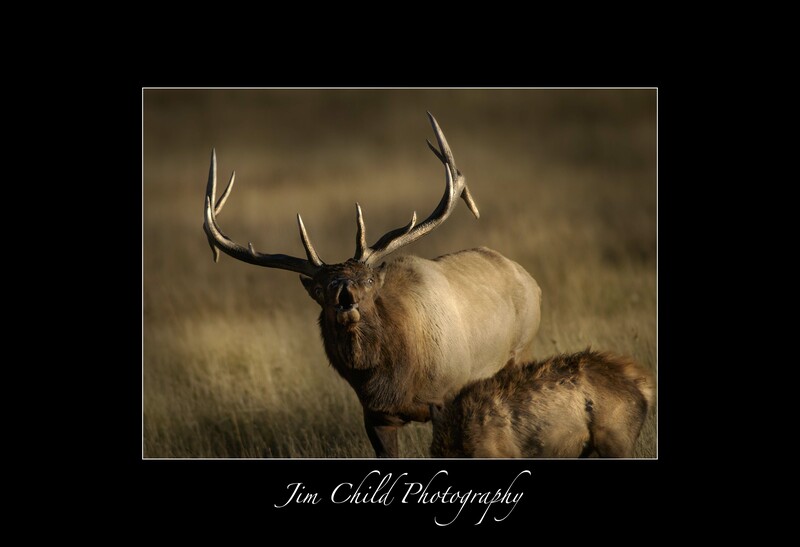 Look close at the elk’s coat and neck size. Even his stride seemed labored. 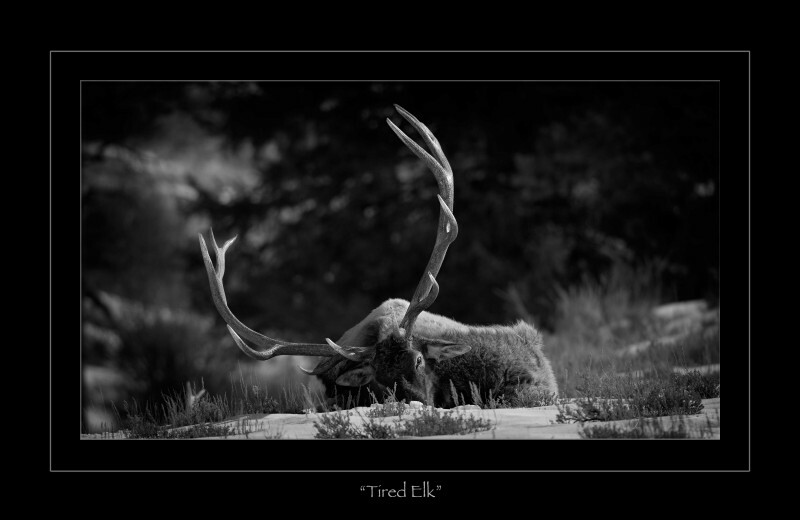 I look forward to seeing this one in the rut. He will be back at the top of his game.